Who said that New Year’s Eve is the most expected? It’s November 23 when all the exciting things will happen! Very soon the biggest sale of the year will start! Yes, my friends, I’m talking about Black Friday. This is a period of great discounts and promotions that starts right after Thanksgiving Day in the USA. The name of the sale was due to the attendant phenomena: prolonged traffic jams and problems with movement on the roads after Thanksgiving Day. In America, Black Friday is almost the main event of the fall – thousands of queues are gathered in stores, and discounts reach 50-60%! At first, this shopping hysteria was exclusively American, but with time it turned into a global one – every November, Black Friday covers online and offline stores all over the planet. In some stores, the promotion may last a whole week, others complete the “discount season” with an online sale on Cyber Monday. Black Friday is a good reason to buy Christmas gifts for friends and relatives at unique promotional prices! People spend the whole night in front of supermarkets in order to have time to be the first to grab more goods. Also, many even take time off on this day. Just imagine: almost 30% of annually sold products in the USA fall on the period between Black Friday and Christmas! TemplateMonster regularly holds various promotions and discounts. And of course, in the run-up to Black Friday, they will not stand aside. From November 19 to November 29 you can choose any theme you like and pay for it 2 times cheaper, that is -50% of its value! And of course, all self-respecting online stores are very seriously preparing for this day, starting with discounts and offers, and ending with the appropriate design of the site. And here, you can also find several options. 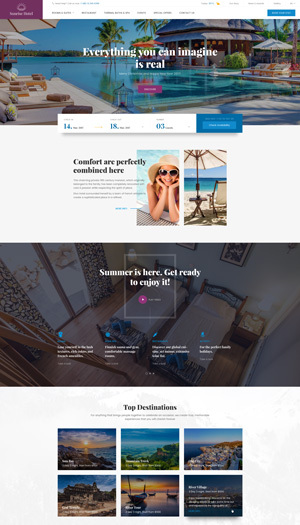 You can completely change the design with the help of premium WordPress themes – quickly and efficiently, you can buy services of designers and developers – more expensive and slower, and you can also partially update your site by completing it with holiday banners. The choice is always yours. 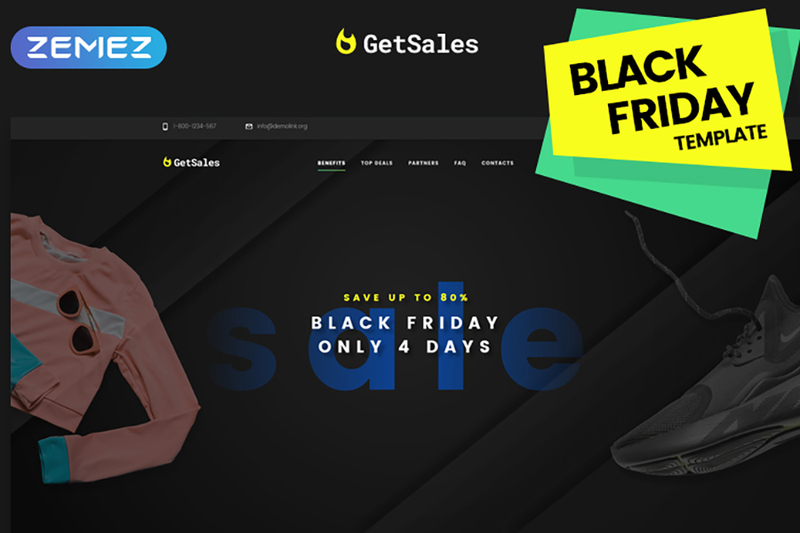 Therefore, in the run-up to Black Friday, I chose the best Black Friday products to prepare your store for promotions and put them all in one article. Perhaps, they will serve as a source of inspiration for you. Just scroll down and check out what I’ve got there. Interesting bright option. White, black and red is a classic, and therefore a reliable choice. This bundle has everything you need to design your website for sales to attract as many customers as possible. Includes 30 fully-editable PSD files. You can also view an enlarged version by clicking the link above. 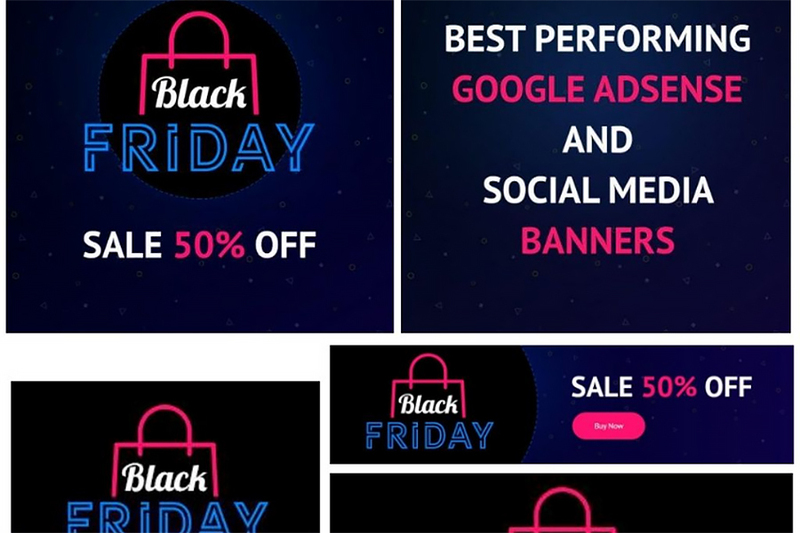 Here we have an awesome collection of social media and Google AdSense banners for Black Friday. Totally customizable, it includes more than 18 banners. This variety of banners can attract the attention of any visitor. With this bundle, you can easily advertise your goods and services. And the price is ridiculous: less than 1 dollar for a banner! 1. Determine in advance which discounts for which products you are ready to give. Think over and form the assortment for the promotion in advance, agree with suppliers on additional discounts and the most favorable conditions. 2. Notify customers. Use proven channels that will be most effective in communicating with them. Emailing, social networks and other modern tools work well. 3. Inform and train staff. Set up a system of prompt notification of the promotion progress. Thus, everyone who communicates with customers – department managers, sales consultants, call center employees – will receive timely data. 4. Bring your technical services to standby. 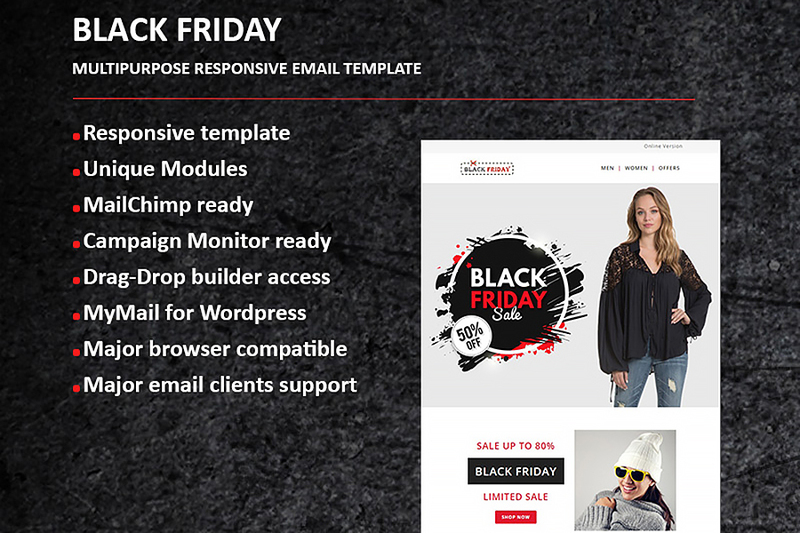 With proper preparation for the promotion – high-quality elaboration of the assortment and discounts, conducting a competent advertising campaign – the participation of your online store in Black Friday, as a rule, implies multiple increases in traffic. 5. Depending on the popularity of the store and the scope of your advertising campaign, the traffic during the promotion may grow two or three times. Make sure in advance that the site of your store will withstand such a load. Even on the Internet, Black Friday also causes quite a stir. It is important that in the midst of this activity you should not lose sight of the main thing – the buyer. Do everything to make him comfortable on your website so he would like to return to you next year. If you have any questions, please leave them in the comments below.